The New England Revolution promote responsible drinking and positive fan behavior at Gillette Stadium. The Revolution Fan Code of Conduct and details of the Revolution alcohol management plan that appear below ensure that fans have a safe and fun experience. We are committed to creating a safe, comfortable and enjoyable experience for patrons of all ages. We are proud to present a Code of Conduct designed to enhance the experience of all our guests. Exhibiting behavior that is unruly, disruptive, irresponsible or illegal in nature. Interfering with the enjoyment of others, any ongoing event or business activity. Verbally or physically harassing any of our guests, other patrons or staff. Violating the terms of any applicable admission ticket policy, license or related laws. Failing to follow instructions of security personnel or law enforcement. Patrons and their guests who violate these provisions will be ejected without refund and also may lose ticket privileges for future events. We thank you for adhering to our Code of Conduct. While at Gillette Stadium on an event day, you may anonymously notify us of breaches of the Code of Conduct by sending a text message to 78247. For conduct and behavioral related matters, please type the word “Conduct” first followed by all relevant details. All text messages to this service are recorded and audited. Any misuse of this service will result in the sender’s number being blocked from future use. Further, we will work with the service provider to follow-up on such misuse. Fans who consume alcohol are encouraged to drink responsibly. You must be 21 years of age or older to purchase alcohol at Gillette Stadium. Valid Photo Driver’s Licenses, State Identification Cards and Passports are the only acceptable forms of identification at Gillette Stadium. Duplicate and expired licenses, Liquor ID’s, birth certificates, Police Badges, or any other forms of identification are not accepted at Gillette Stadium. Only two (2) beers per person will be sold at any one purchase. Sales may be discontinued at the discretion of stadium management. Questions regarding Gillette Stadium’s Alcohol Policy can be directed to the Public Information Booths located at midfield on game days. 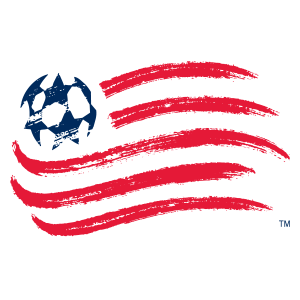 Since 2005, the New England Revolution have been recognized annually by TEAM Coalition for their commitment to training gameday staff in effective alcohol management. The Revolution also won the inaugural MLS Responsibility Cup. Be a HERO, Be a Designated Driver at Gillette Stadium. Fans can pledge to stay sober and ensure a safe ride home for their friends and family. **To sign up and redeem your token of our appreciation please visit our booth right inside the Bank of America gate, or at our two guest service locations on the 100 level of the stadium. Designated drivers who make this pledge at New England Revolution home games are also entered into the Major League Soccer Responsibility Has Its Rewards Sweepstakes.